To login using Facebook or Google, a user has to provide their respective username and password. 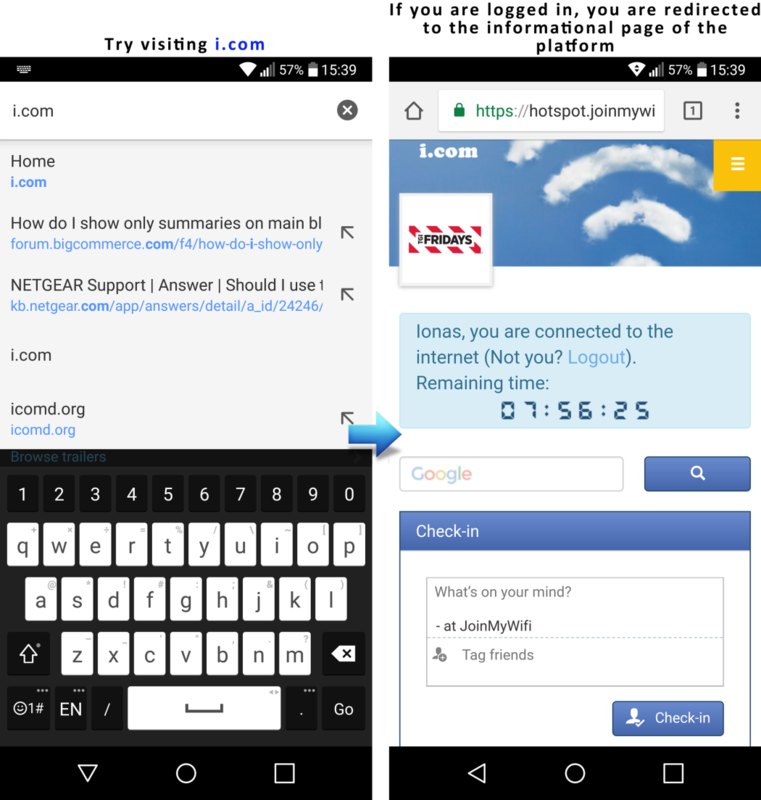 These credentials are kept secret from JoinMyWifi due to security measures, so the user should know that they are absolutely safe while using these kinds of logins. 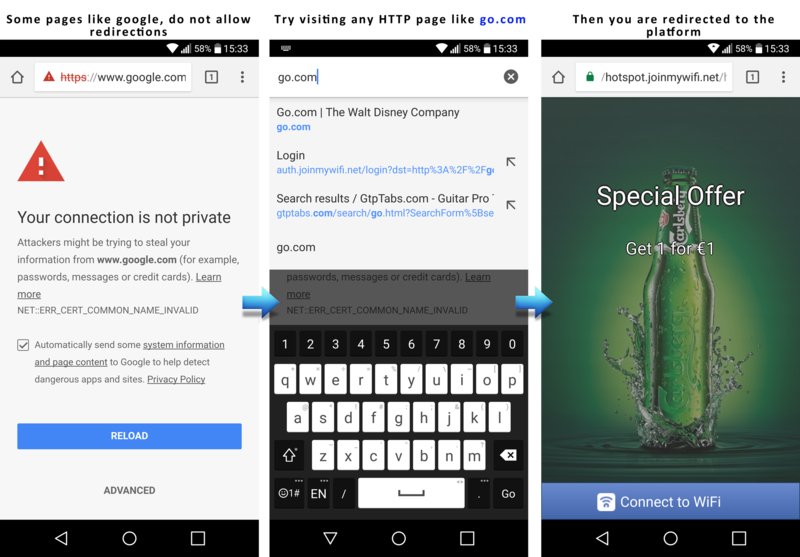 In case a user tries to login using a browser that “remembers” their Facebook/Google credentials the username and password will be filled automatically and the user won’t even experience that step. Sometimes the default browser (e.g. chrome) will have these credentials saved but the phone might pop-up a pseudo browser upon WiFi connection that doesn’t have them stored. 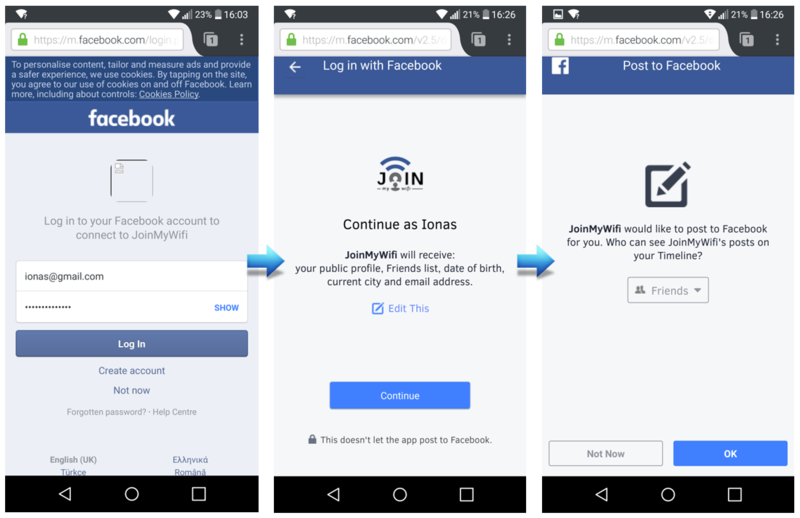 When a user logs in with Facebook or Google for the first time in their life, they will be asked to give some permissions to JoinMyWifi (Permission to access their personal information and ability to check-in on behalf of the user). These steps are mandatory from Facebook/Google and are only shown on that first time. If the user doesn’t accept the permissions they won’t be able to login via Facebook/Google. 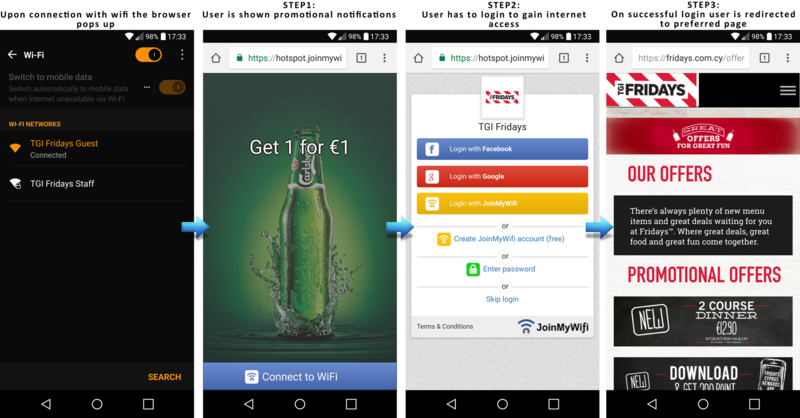 While connected, by visiting the webpage i.com you will be redirected to the JoinMyWifi informational webpage where you can view the remaining connection time, change your profile information, logout and generally access all JoinMyWifi services (e.g. your available coupons). This is a very good way to test if you are connected. In case you are not, you will be redirected to the captive portal for login.